I have not had much time to go out detecting lately, plus we have had a few much needed rainy days. But this afternoon was nice and sunny with temperatures in the 50s. So I walked across the road into the big hayfield. 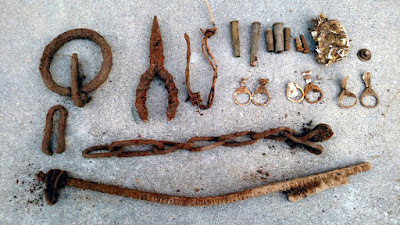 Last time I found an axe head and a large bent horseshoe along the edges, so I picked up where I left off staying very close to the edge of the field. My first find was a length of chain and then a large steel ring with a few links attached. Possibly a ring from an ox yoke? Then I got a pair of very rusted pliers - I bet the farmer really missed those! I have put both in my electrolysis tank to clean them up a bit. 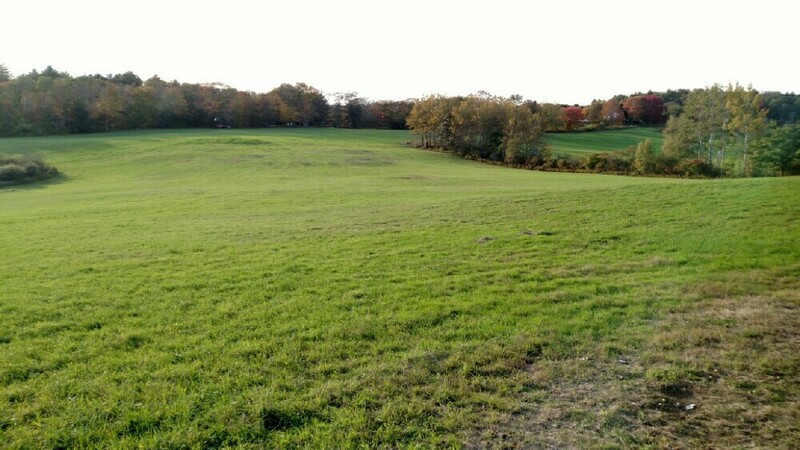 There is a hill in one spot that was clearly used for both picnics and hunting based on the pull-tabs and shells I found. Another live shell. I find it hard to understand how hunters drop live rounds. I'll be dropping them off to the local Sherrif's office later this year for safe disposal. 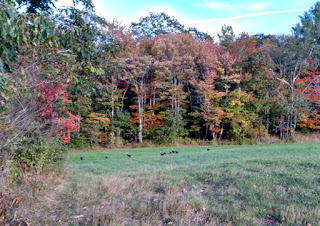 As I crested a slope I came across one of the flocks of turkeys that roam my neighborhood. As you can see the fall colors are really coming in. 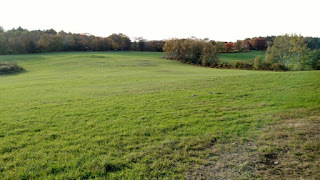 And here's the view toward my home from the picnic hill. The land around here reminds me a lot of where I grew up in Yorkshire, England - it is New England after all!